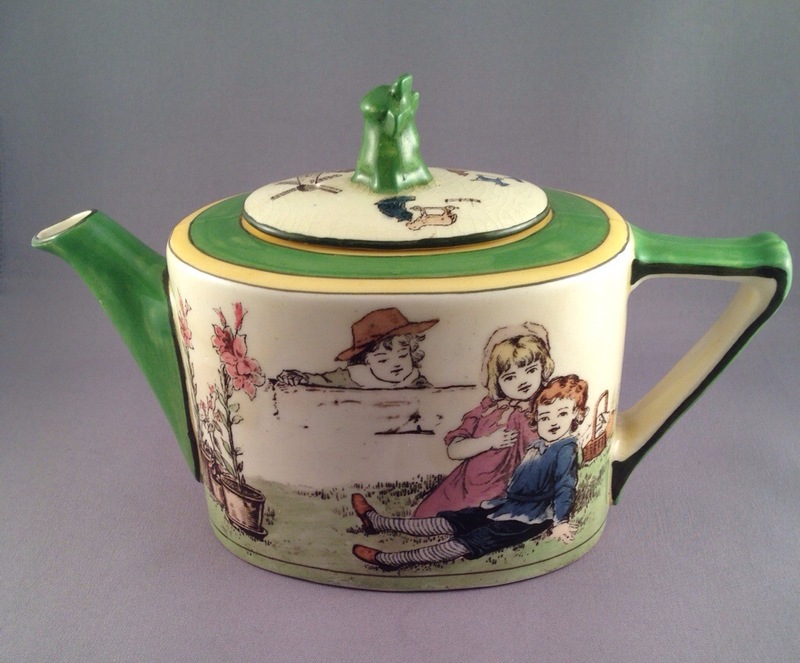 The style of dress on this early teapot is clearly influenced by the illustrations if Kate Greenaway from Victorian times, although the actual designs on this and the sugar basin below are actually by C. Van Brown. This aesthetic style is so closely influence by Kate Greenaway that it could be one of her illustrations. She undoubtedly started something of a craze in Victorian times for this style of dress and decoration. She certainly revolutionised children’s books and clothes of the late 19th Century. 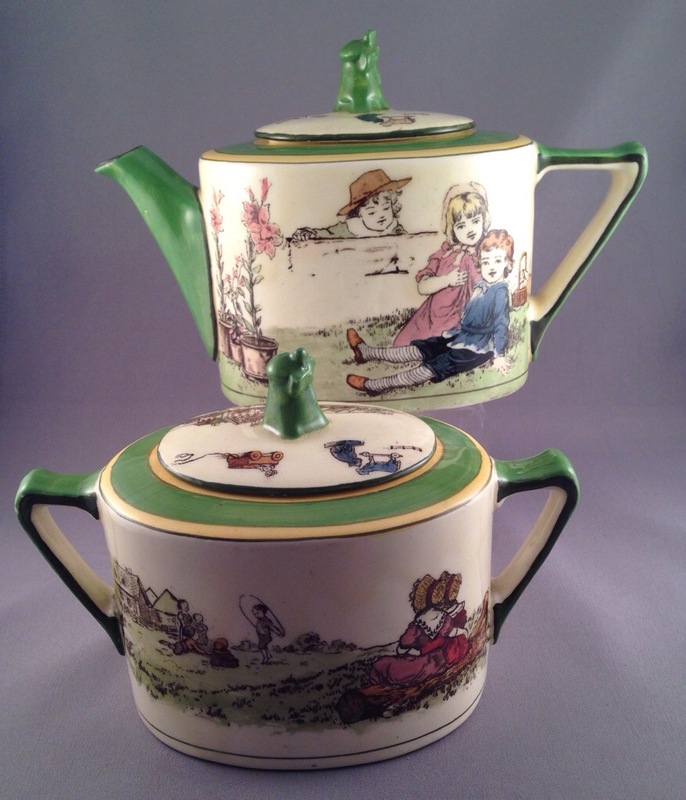 The designs illustrated actually belong to the Pastimes series produced around 1902. 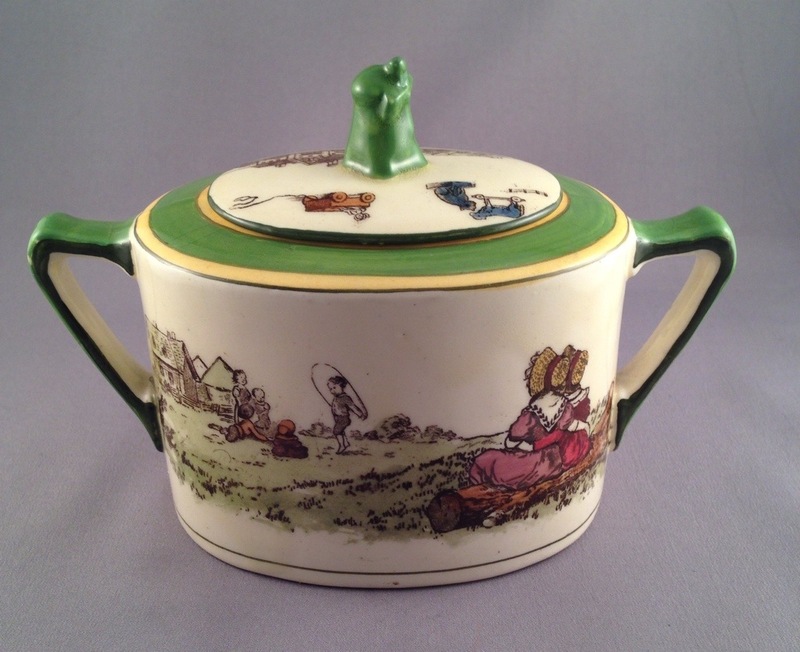 It wasn’t until 1978 that doulton actually used some of her illustrations on plates from her illustrations for an Almanack from 1884. Of course there is also the series of 18 figures introduced from 1976 started by Peggy Davies and continued by Pauline Parsons all based on Kate Greenaway’s style.